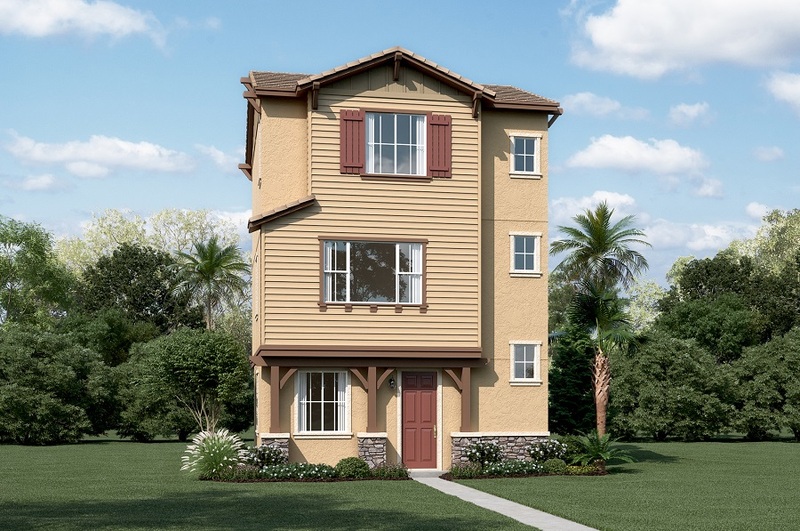 Enjoy three floors of smartly designed living space in this new home! The lower floor offers a comfortable bedroom and full bath. Upstairs, you’ll find a spacious living room and a well-designed kitchen that flows into the elegant dining room. The top floor offers a convenient laundry and two lavish master suites—each boasting a private bath. Includes a large kitchen island and maple cabinetry.